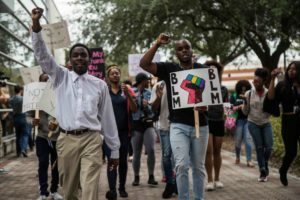 Keyshawn Housey (left) and Peter Egede (right) lead a march on Georgia Southern University’s campus on Oct. 19, 2018 to protest the university’s response to a student’s use of the N-word in a text correspondence with her assigned roommates. 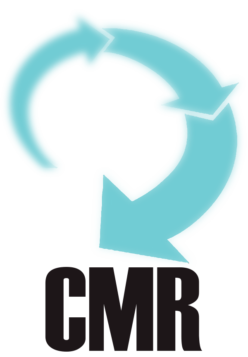 (Special to CMR) Click here for related story. Want to improve your coverage of underrepresented communities and the issues that impact them? Here’s an action plan and important resources to help you get your student media staff ready. Click here for related story. Assess your community. Start by gathering data about your campus. Most schools post demographic data about students and faculty on their websites but if yours doesn’t, ask for the latest annual demographic reports. Your school may have an office of institutional research; if not, ask the university news office or admissions office where you can get the data. But don’t stop at the easy-to-find data. Dig for more. By making some inquiries, you may find other numbers that help paint a portrait of your community. Your university’s office of disability services, for example, may be able to give you the number of students registered for disability services. (About 11 percent of university students reported having a disability in academic year 2011-12, according to the National Center for Education Statistics.) Hillel keeps estimates of the number of Jews on some campuses. Other ethnic, racial or religious groups on campus may have estimates of the populations they serve. Next, take a census of your news student media staff. In general it’s best to do this with an anonymous survey. In crafting the survey, be as inclusive as possible, asking questions not just about race but about ethnicity, religion, gender, geography, sexual orientation, disability and age. Each category should also be inclusive. Don’t just ask, for example, if a staff member identifies as male or female. Include other identities such as non-binary or genderqueer. As much as possible leave blanks for respondents to fill in identities you may not have considered. Evaluate your coverage. Study your website or several newscasts or issues of your newspaper, asking: How many men and women appear as subjects in news photos or as sources in stories? What is the racial balance of people pictured in the paper? How does your coverage of the campus square with the demographic statistics you collected? Share your findings with your staff. Have an open discussion about what you learned and how well the content of your news outlets reflects the community you cover. You may want to bring in a diversity expert, such as the chief diversity officer on campus or a professor who teaches diversity classes, to facilitate the discussion. Recruit a diverse staff. A diverse staff helps a news organization cover a multicultural community with sensitivity and a sense of responsibility. If your college media staff doesn’t resemble the campus community you are covering, work harder to fill in the gaps. Announce club meetings or staff application deadlines far and wide, reaching out to diversity organizations that might be willing to spread the word. If you know individuals who might be good for your college media group, personally invite them to get involved. Reach out. Build relationships with campus and community groups, particularly ones that have complained about coverage in the past and groups that have been missing from your publication or newscast. Invite leaders of campus groups to visit your newsroom or attend a public forum. Ask community leaders what’s missing and what they’d like to see in your coverage. Train your staff. Organize staff workshops where you can teach yourselves about cultural competency and talk about your coverage. If you’ve misrepresented certain groups in the past, invite campus leaders to help educate your staff about past slights and current issues. Train your staff to be on the lookout for sensitive material, words and images that people might find offensive or disturbing. Review your style guide. Make sure it addresses cultural competency issues and word-choice bias. Incorporate terms from diversity styles guides. Encourage group decision-making. Young editors sometimes feel they should be able to make important decisions on their own. Try to create an environment where decisions are made after discussion among several staffers. When dealing with sensitive topics, assemble a diverse group to review the content. Encourage people to speak honestly. Warn the reader. When you decide to run controversial material or cover sensitive issues, explain what you’re doing and why you’re doing it in an editor’s note. Show readers you’ve really thought this through. When the flak hits, listen. Be open to criticism. Respond to angry letters and phone calls in a calm, rational and timely manner. Don’t get defensive. Offer to meet in person with school officials, student leaders or others who might be upset. If you make a mistake, take responsibility. If you’ve got something to apologize for, apologize quickly and publicly. Don’t let wounds fester. Give your apology at least as much play as the error or offensive content. Heal wounds. If you publication offended a particular community, try to make amends. Reach out to that group and make it clear you want to improve your coverage. Check in with your staff. Advisers and top editors should make sure all staffers feel heard and included. Leaders should check in with staffers and be on the lookout for conflicts or bias incidents among staff members. Work to create an inclusive, respectful community. This news report on a panel at the Education Writers Association’s 2018 National Seminar offers some good tips on delving deeper. Researched by students at Michigan State University, this series of guides answers questions about different racial, ethnic, religious groups as well as gender identity, veterans and immigrants. This guide, a project of the Center for Integration and Improvement of Journalism at San Francisco State University, brings together definitions and information from more than two dozen style guides, journalism organizations and other resources.